Google today announced that third-party Android developers can now link their Google Analytics account with their Google Play Developer Console to gain improved app insights. The new data covers both user acquisition and engagement. Google first previewed the integration between Google Analytics and Google Play at I/O 2013, but now it’s finally available to all users. This means both developers and marketers can get a quick view of their apps across metrics at all stages: acquisition, behavior, and conversions. After creating the link, developers will get a new report in Google Analytics highlighting which campaigns are driving the most views, installs, and new users from Google Play. 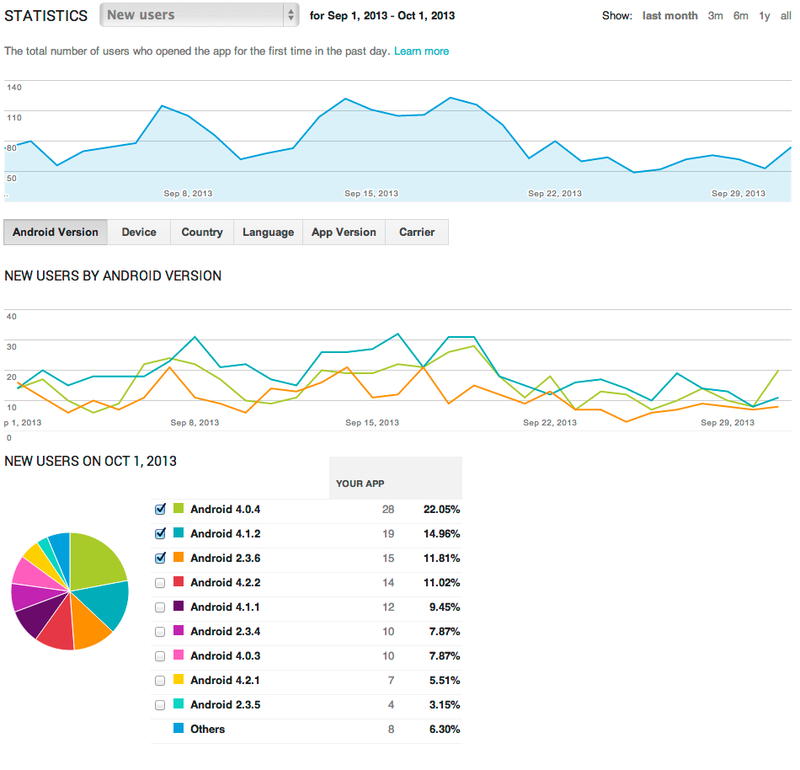 In the Developer Console, they will see new app stats for engagement based on Analytics data. Google Play traffic sources: Discover how marketing campaigns and search are driving installs and new users. 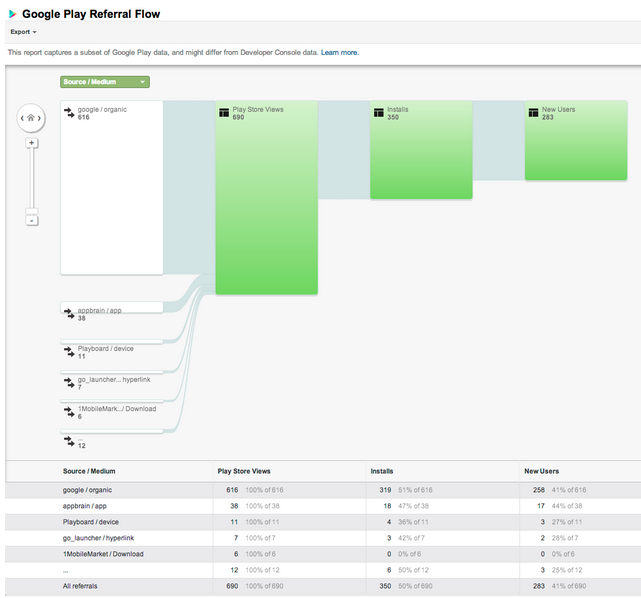 The Google Play Referral Flow will help you refine your app marketing mix in order to focus on those campaigns and programs which are working to bring the highest quality traffic. Views on Google Play: Understand how your app is being viewed on Google Play as the result of campaigns and search. Your description, screenshots and other content are what’s going to drive new users to install. Installs: Installs shows the number of users for each referral who actually clicked the install link for your app on Google Play. Comparing installs to views for each referral shows you if your app description and screenshots are leading to conversions. Highlight through each source further up the funnel and determine which are successful at driving downloads. New users: Beyond installs, new users shows you how many active users actually launch your application after it’s installed. This is a key metric to see even beyond installs, reported from the Google Analytics Services SDK. Tracing the path up the funnel shows you clearly which sources don’t just account for those installing your app, but which lead to passionate users who spend time with your app leading to in-app conversions.